Join us at Goals Rancho’s Easter Egg Hunt! We will have food, bouncy house, Easter Bunny, Egg Hunt, pictures and more! Everyone is welcome! Children Ages 10 & under! $3 Photos with the Easter Bunny! $5 Adult Pancake Breakfast/$3 Child Pancake Breakfast! 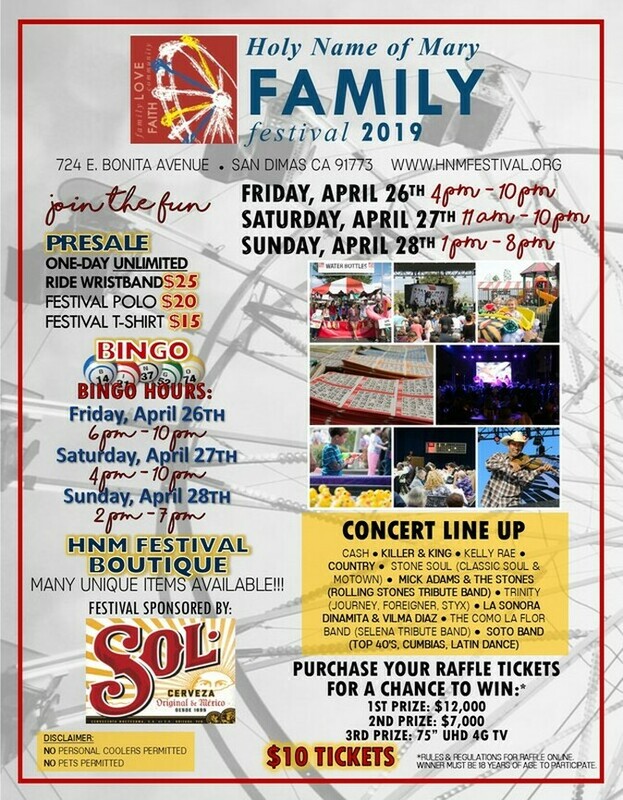 ​Glendora Chalk Festival is on April 27, 2019 from 10 AM to 4 PM. Show off what you’ve got at the 2019 San Gabriel Valley’s Got Talent. Also featuring the 2nd Annual Craft Fair featuring apparel, jewelry, home decor and much more! You are Invited to grab your Girlfriends and come to the 2nd Annual ClareMom Shopping Event! This EXCLUSIVE event is one day for you to shop some of your favorite Shops located in the Historical Claremont Village, in Claremont California. Each participating Location will be offering you an EXCLUSIVE in-store deal that you will not want to pass up! The Commons at La Verne shopping center is excited to announce its La Verne Community Easter Egg Hunt on Saturday, April 20th. This event is open to the public and free for participation of children of all ages. There will be an Easter Egg Hunt with candy and prizes, and a special appearance by the Easter Bunny himself! Finders of one of the golden eggs will receive a special prize! Additionally, there will be sidewalk sales by participating Shopping Center businesses. Commons at La Verne Shopping Center located at 1600 Foothill Boulevard. The hunt will take place in the parking lot on the West side of Nature’s Way and across from Wahfles. Sustainable Claremont and the City of Claremont are proud to host the 11th Annual Earth Day Celebration in the heart of the Claremont Village. This event brings together over 4,000 people of all ages, from Claremont and nearby communities throughout Southern California. This celebration hosts more than 75 exhibition booths including informational workshops, art and technology displays, school exhibits, live entertainment and much more! The goal of the Earth Day celebration is to increase community awareness of environmental issues; showcase eco-friendly products, services, and organizations; provide hands-on learning opportunities; and bring the entire community together for a fun and meaningful celebration. This year’s theme is “Reimagining Our Resources.” This Earth Day celebration aims to highlight the many ways we can all live more sustainably, by reimagining the use of all of our resources, and reducing our waste. Are you a member of an organization or business that would like to host an exhibit at this event? Register TODAY to secure your booth — spaces will fill quickly! 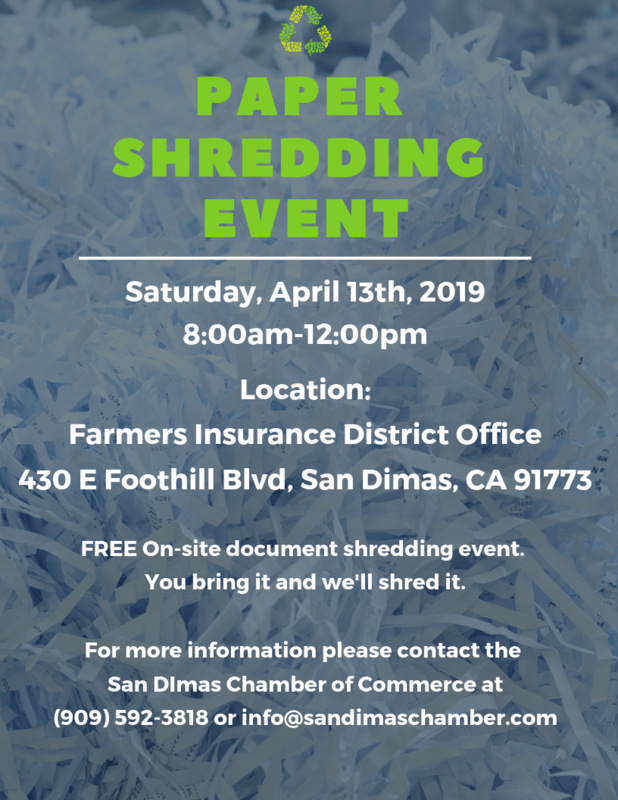 Your participation will enable you to reach 1000s of people from our enthusiastic community, and it will help us to make this the best Earth Day event in Claremont to date! Participants may gather eggs, candy, and prizes! Bring your own to collect. The always popular Cool Cruise Car Show kicks of the spring in Old Town La Verne with classic cars and classic rock music filling the streets of Old Town La Verne. This is always the biggest event every year in Old Town. Car enthusiasts young and old alike always have a great time at this event. Are you ready for some spring cleaning? Is it time to un-clutter your closets? Do you want to have a yard sale but dread having a hundred people on your lawn at eight o’clock on a Saturday morning? Well, you are in luck! The La Verne Chamber of Commerce with the City of La Verne and Bonita High School are sponsoring a Community Yard Sale on Saturday, April 13 from 8:00am until noon, in the Bonita High School Parking Lot. Spaces are available for $30 each, or a double space for $40. There will be no admission charge for buyers, and everyone is invited to browse and shop! One person’s “trash” is another’s “treasure;” so, please mark April 13 on your calendar, and plan to be a part of this Community Yard Sale. You just don’t know what you might find! 2019 Season scheduled start date is April 3rd till September. The San Dimas Farmers Market is a place where the community gathers every Wednesday (April till first week in September) to enjoy the small town atmosphere. Plenty of prepared food vendors will be cooking up a variety of dishes sure to please everyone’s taste. Of course it would not be a farmers market if it didn’t have a great selection of fruits and vegetables from Certified Producers. In addition, we have scheduled a live band every week. A Quarter Mania is a cross between an auction and a raffle where people “bid” to win a product/prize of brand new goods donated from local businesses. Bring your quarters because bidding stars at just 1 quarter!With your $15 enry you will receive a paddle and lunch. Welcome to the 4th Annual Run/Walk/and Wellness Fair fundraiser hosted by the United Food & Commercial Workers (UFCW) Local 1428. Fundraising dollars go to support the American Cancer Society’s cancer research, education, advocacy, programs, services, and members of the UFCW Local 1428 that have been affected by cancer. UFCW Local 1428 has always been on a mission of Building Better Communities and keeping our communities safe and healthy, which is one way to keep us all strong. Foothill’s family fun night will return on Friday, March 29th at Foothill Christian School from 6pm – 9pm. It will feature our second annual Chili Cook-Off, a hot dog BBQ, live music, a SCHOOL HOUSE AUCTION and games on the lawn! The event is free to attend and meal tickets will be sold for $5. Have a homemade chili recipe that you think will WOW the crowds? Register here to sign-up to be a contender! Join Kiwanis Club of Glendora as we host our annual casino night fundraiser, complete with casino gaming, dinner, silent auction, horse racing, prizes, beer and wine bar, and live music! We sell out every year and you don’t want to miss out! Come join us for an evening of Gambling, Delicious Food, Silent Auction, Wine Auction, and much more! This event sells out every year so get your tickets now! Bring the family and join us for Coffee & Cocoa With A Cop! Get to know the Officers serving YOUR community. No speeches, or agendas, just a cup of coffee (or cocoa) and a conversation. We hope to see you there! Come celebrate St. Patrick’s day in Downtown Upland! Bring the whole family and enjoy Microbreweries, Food Vendors, Kid’s Zone, Live Music and shopping with visiting street vendors. Dine and shop with the unique local establishments. Free Admission! A great time for all! Come see what’s brewing in Covina! Join us at the most hoppining party in Covina! Saturday February 23rd from 5pm to 10pm. Featuring: Over 300 people, Local Brews, Delicious Chili, Local Eats, Live Music, Games, Fun and More! Presented by the Covina Rotary Club! Join Us At The 5th Annual Pause For Paws! Cost: Free! There is no cost to attend this event. However, a fee may be associated with pet adoptions, services, and items for sale. Please see vendors at the event for details. Why: Every animal deserves a loving home. Join TAS @ our 8th Annual Christmas Stocking Embroidery Event on Friday December 14th from 10:00 am – 4:00 pm to get your stockings embroidered for only $5.00 each!! TAS will once again host our Annual Christmas Stocking Embroidery Event. We don’t want Santa to miss anyone in the family, so if you have any new additions or want to update any older stockings, now is the time to have them personalized. Customized stockings for the entire family is a great way to make this holiday season truly special, and will brighten everyone’s holiday spirit! Plan to come to our shop between 10:00 am – 4:00 pm and we will embroider your stocking while you wait. You are welcome to drop them off for a pick up later in the day as well if it is more convenient for you. Snacks and hot chocolate or coffee will be served while you wait for your stockings to be embroidered. For only $5 a stocking, you will want to get everyone you know this personalized gift! TAS will also be donating 20% of the stocking embroidery proceeds to the Glendora Education Foundation. 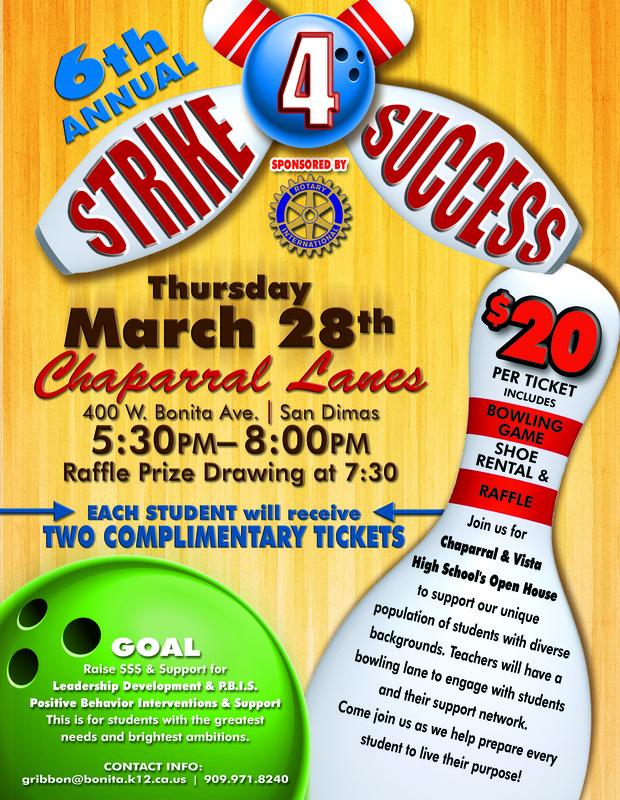 Give a little cheer to a loved one while helping raise money for the our kids in the Glendora Unified School District! Friday, December 7, 2018 The 3rd Annual Charter Oak Holiday Parade! Enjoy the pride of Charter Oak as the students, schools, and community come together to celebrate the holidays in Charter Oak! The parade route will be featured in the heart of CO beginning and ending at COHS with fireworks and food trucks featured at the end of the event! The Mission Inn Hotel & Spa – Southern California’s historic AAA-Four Diamond hotel will kick off the holiday season on November 23, 2018 with our 26th Annual Festival of Lights celebration a free, six-week-long holiday extravaganza featuring one of the nation’s largest holiday light collections of its kind. Now in its 26th year, Festival of Lights is an annual gift to the community from property owners Duane and Kelly Roberts, who saved the historic hotel from destruction in 1992. The beloved Southern California tradition recently named “Best Public Lights Display in the Nation” by USA Today creates a magical, Disneyland-like experience in the heart of Riverside and attracts more than 500,000 visitors from all over the world each year, commencing with the famous “Switch-On” Ceremony, a spectacular event in which the castle-like hotel is instantly illuminated with 5 million holiday lights followed by a full fireworks display. Children within every spectrum of special needs and their families are invited to a private photo session, to experience the time-honored tradition of a visit with Santa Claus during dedicated hours. Please reserve your complimentary ticket on Eventbrite – ONE TICKET per group/family, please. Children age 12 and under can enjoy three 60-foot snow runs and two snow play lands with real snow! Children can choose from a variety of crafts in the “Elves’ Hobby Hut, enjoy, a cup of hot cocoa and a doughnut at “Mrs. Claus’ Cozy Kitchen”, and of course visit Santa at the gazebo! Parents be sure to bring your cameras for this wonderful photo opportunity. Kids should dress for snow: mittens, gloves, boots and jackets. Sliding saucers will be provided. There will also be food and refreshments for purchase and craft vendors for early Christmas shopping. Additional Parking is available at oak Mesa School. The park may be accessed using the pathway behind the school along the wash.
Join the Old Town La Verne Businesses and Restaurants on Saturday, December 3rd for the Annual Holiday Stroll & Tree Lighting. Old Town La Verne has a long history of sharing events with the community and Holiday Stroll is a perfect time to come out and get in the spirit of the Holidays. There will be refreshments, door prizes and entertainment. Pictures with Santa and a Tree Lighting Ceremony. Don’t miss out on this treasured tradition! Welcome to the 11th annual 2018 Claremont Sunrise Rotary – Turkey Trot 5K Run/Walk and 1K Kid’s Fun Run on Thanksgiving morning. This event has gained the reputation for being a scenic and ideal route through the Claremont Colleges and Village, with a downhill grade on the last leg. Serious runners and families alike enjoy this event. Make it your “Family Holiday Tradition”. The parade starts downtown “In The Village” led by our award winning GHS TARTAN BAND! and ENDS at La Fetra & Sandburg Schools on Grand and Bennett. On Saturday November 24, we encourage you to shop local and play “Shop La Verne Bingo.” Whenever you find the Shop Small Button at one of the businesses listed on the Bingo Card, have the store manager or staff member sign inside the designated box. If you purchase any item at a business, you will get a signature in any of the (4)“Purchased Item Bonus Spaces. If you complete a standard BINGO (5 in a row); your name will be placed in a drawing for a chance to win $50 in in Gift Certificates from participating businesses. If you complete a blackout BINGO board, your name will be in a drawing for a chance to win $100 in Gift Certificates from participating businesses and other great prizes. Join us to spread some Holiday Cheer on Small Business Saturday (November 24) at the Claremont Chamber of Commerce / Visitor Center Office. Claremont Chamber booth we will be giving out goodies from Chamber members and American Express from 10 am – 2 pm. The Holiday Extravaganza is coming to downtown San Dimas on Saturday, December 1. This year’s event includes a community Holiday Parade, “A Storybook Holiday ” that will begin at 12 noon. Community groups, schools, churches, businesses are invited to participate. Get creative and show off your holiday spirit. We will judge the best and creative parade floats at the event. So get creative and show off your holiday spirit. The Old Town La Verne streets will be in the Holiday festive mood with hundreds of show vehicles, vendors and music. This family themed car show event will feature Southern California’s hottest cars and trucks, music – vendors and Old Town La Verne’s Unique Shops – Restaurants – Prizes – Great Food and more. NEW THIS YEAR – Which Haynes program will create the winning booth: Residential/Treatment, Wraparound, Renaissance Community Prep, Bliss Academy, STAR Academy or Administration? Everyone is welcome, no cost to attend. This December, Cal Poly Pomona brings the warm traditions of the Holiday Season to life, a fun time with family and friends set on the Farm at AGRIscapes. Holidays on the Farm features several fun activities wrapped in a Winter theme. As the sun sets the air turns magical with dozens of trees and decorations decked out with thousands of lights and colorful ornaments along with some special surprises. SNOW HILL SLIDE AND PLAY AREA: Slide down a snow run on a saucer sled, make a snowman or snow angel! There will be all sorts of snow fun on the farm. STARBERRY FARMS TREE LOT (Open daily beginning Nov 23): Choose from dozens of fresh cut trees from Oregon and Washington. We’ll bundle it up and help you load it on your car. SANTA’S FARM: Visit and have your photo taken with Santa and enjoy our adorable animals at the Cal Poly Holiday Petting Farm! There will be lots of fun winter themed activities for the kids such as the Snowman’s Lair to crawl through, children’s crafts, games, take a walk through the Holiday Tree Stroll and much more! ARTISAN FAIR: Shopping for holiday decorations and gifts is just plain fun and here you’ll find some interesting and unique, hand-made items for your home or to give away! There will be a number of vendors who specialize in woodworking, jewelry, holiday treats, and much more. Also featured will be several College of Agriculture Student Booths offering treats and gifts for the season. MORE THINGS TO DO: Take a festive ride in an antique tractor pulled Hay Wagon. You can purchase our beautiful Cal Poly Pomona Nursery grown Poinsettias in several varieties, along with Gift Boxes featuring campus grown fruits. Rounding out the festivities are yummy seasonal treats, and live holiday music.